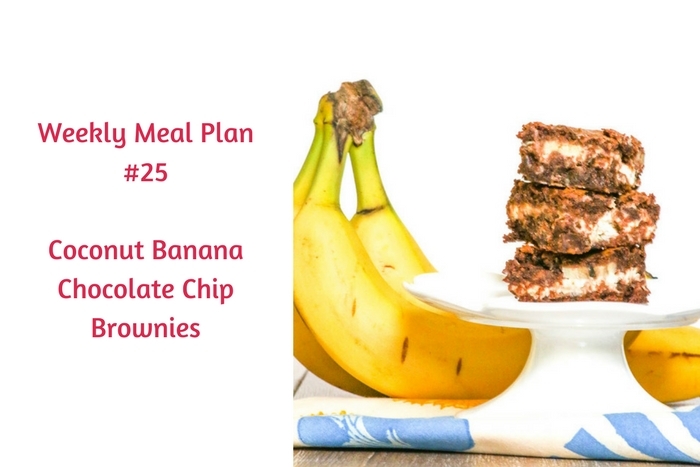 Can you believe that we are on Weekly Meal Plan #25? I don’t know where the weeks have gone but they sure have flown by very quickly! I love the food options my fellow weekly participants bring and it is usually a challenge to figure out which one I want to make first. The Shirley Journey’s Crab Pretzels are MIGHTY tempting! Wherever you start, you have to finish with Banana Coconut Chocolate Chip Brownies. I know that I recently posted this recipe here but they are so good that I just don’t want you to miss out on seeing them. I was asked if Banana Coconut Chocolate Chip Brownies are overly sweet. The answer is no, they are not. 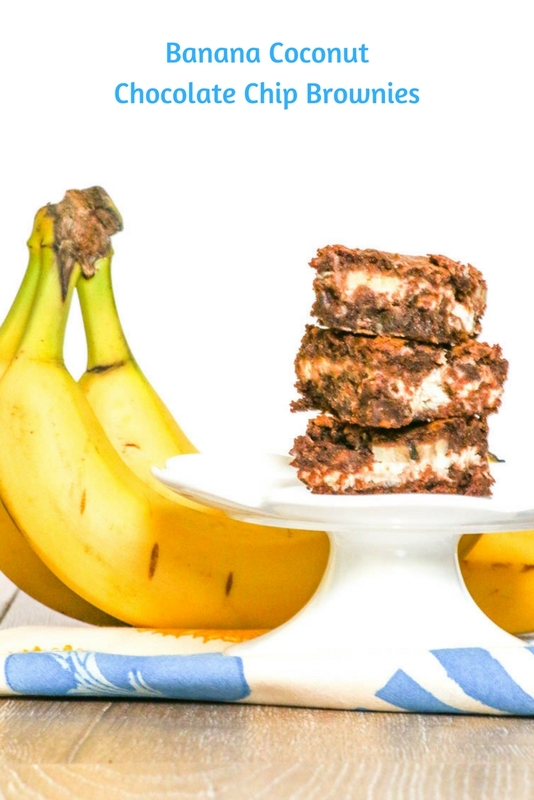 The bananas help with this and the brownie recipe is not as sweet as some. So, don’t delay! Get busy in the kitchen…we have it all laid out for you with Weekly Meal Plan #25! Summer is officially here! Get the day off to a good start with this tasty Strawberry Banana Smoothie recipe from Organized Island. Monday is the new fun day with these delicious Apricot-Glazed Pork Chops from My Fearless Kitchen. The sauce will have your family asking for more! These simple and quick Burrito Bowls from Kimmi’s Dairyland are made with chicken tenders and can be easily made into a traditional burrito as well! Make a fun and festive dinner with these tasty and fun Crab Pretzels from The Shirley Journey. These are also great for a picnic or concert in the park. This Red Wine Mushroom Braised Beef recipe from the Crumby Cupcake is so tender and juicy! It goes nicely with the wine and mushroom gravy. Wrap up the week with a tasty (and easy) Mango Arugula Salad. Add some chicken to make it a hearty meal. Make this the best week ever with these tasty and slightly decadent Banana Coconut Chocolate Chip Brownies from Desserts Required. I hope you enjoyed these weekly meal planning ideas. Take the weekend off, enjoy your leftovers, or eat out. We’ll be testing more recipes for you in our own kitchens!